Also, the Company had provided some terms and conditions during this sale. Moreover, the company has also given additional offers under various forms. Get all the information here below. People of India will celebrate their upcoming festivals of Dussehra and Diwali on October 11 and October 30. Also, there are lots of products waiting to celebrate these festivals via Amazon Great India Festival sale. Flipkart Big Billion Sale will Start from October 2nd to October 6th of this year. 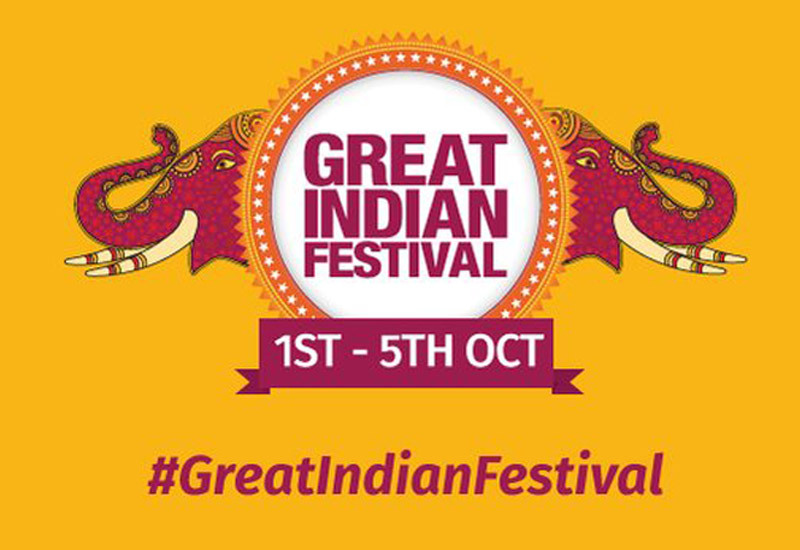 The #GreatIndianFestival Sale hashtag has trended the Twitter India before the day of Sale. Also, the people of Amazon were busy with their arrangements. The company will offer the deals on following categories such as Mobile Phones, Electronics, Apparel, Home and Kitchen, and more. Maximum of the modern Youngsters are waiting for their branded latest mobile phones. Amazon will offer for the branded smartphones such as Motorola and OnePlus. As like the smartphones, the company had branded companies on various products. Amazon.in allows the users to choose the gift option to surprise their friends and loved one. The users can order the sweets, snacks, dry fruits for this festival season. Also, the users can share their affection by sending Amazon gift card. The HDFC debit card and credit card users can buy the products with additional 15% cashback through mobile App. And the website users can buy the products with 10% additional cashback. Consumers(Users) need to purchase the products for the minimum of Rs. 6000 to claim this offers. The Consumers will get the maximum cashback of Rs 1500 per card on January 5, 2017. Also, the consumers will get this offers by four ways such as Credit card, Debit card, EMI, and Card Payment on delivery. The Amazon Prime users can access this festival sale offers on 30 minutes early. It is first season sale for Amazon.in under the latest Prime Update. By using Amazon Prime, the users can get the product for same-day and two-day deliveries. Get 15 percent offer on jewellery, Up to 40% on Activity trackers, Up to 50% offer on Premium watches, Up to 30% offers on Mobile phones, Up to 40 percent offers on televisions. Also get up to 50 percent on kitchen essentials, flat 50 percent on ethnic clothing and up to 70 percent on other products. Users can able to check the complete terms and conditions of the Amazon Great Indian Festival Sale on the official page. Let’s celebrate this festival along with Amazon and other shopping websites.